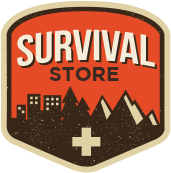 The Original Survival Store Online since 1998. We are under new Management and are rebuilding this stores inventory and Survival gear model. If you have need for immediate supplies please visit our other location: Preparedness.com for great deals on all our closeout items.